What Products Should I Buy For My New Pontoon? Just bought my first new Bennington pontoon boat. What list of cleaning products do you recommend I buy? Boat will only be used in fresh water. Congratulations. The excitement of taking delivery of a new boat is one of the best feelings you can have. I have prepared a list of basic Cleaning and Protection products, with a brief explanation of their purpose so you can decide which you need. 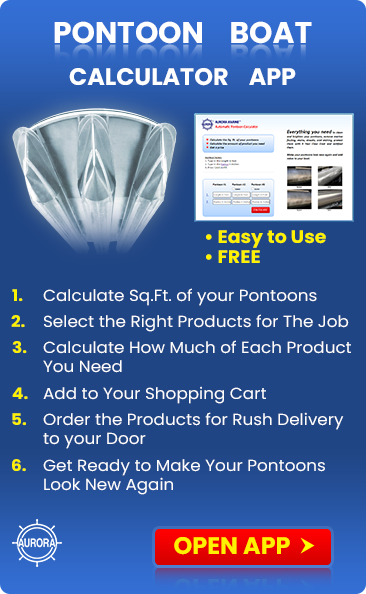 You may need other products, depending on how you plan to use your boat. Visit the Catalogue section of the Aurora Website for a full list and complete description. These products will keep your boat looking new and shiny for a long time, with a minimum of effort. VS721 Bottom Coat Protects pontoons from algae and Zebra mussel attachment and makes clean up easier. Algex Bottom Cleaner, safe for aluminum. Spray on and rinse off marine growth. Alumabrite Aluminum Cleaner and Brightener. Spray and Rinse. 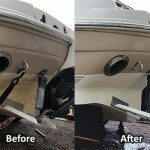 Removes oxidation and staining from pontoons. 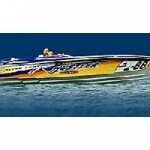 Boat Clean Plus Concentrated all-purpose cleaner. 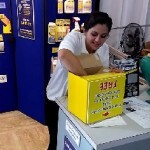 Especially good for cleaning vinyl seats, shampooing carpets, cleaning top and washing boat. 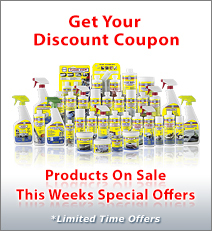 Will remove bird droppings, food stains, exhaust soot and much more. 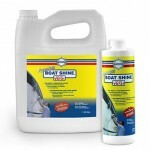 Premium Boat Shine Synthetic polish for rails, sides and console. UV protection, anti-static, easy to apply. Self polishing. Won’t yellow. Vinyl Guard Vinyl Protector with UV inhibitors. Long life. 2 coats last up to 6 months. Protects against suntan oil, food spills and other stains. Odor Free Toilet / Holding Tank deodorizer and cleaner. Eliminates smells. Breaks down solids and contains tissue digesters so you can use household toilet tissues without plugging up the tank. Clear View Vinyl side curtain Cleaner / Protector Kit, with UV protection. Keeps your vinyl side curtain windows clear and protects against degradation. Regular use can extend the life up to 5 times. Kwik Shine Cleaner, Protector, Polish. Cleans without water and leaves protective polish. Great for detailing all hard surfaces and for cleaning grease, oil, fuel spills, bird droppings and much more. Thanks for your question Tom. We get asked this a lot and are working on a “Custom Product Selector” form. Keep checking back. We should have it on-line in the near future.